Blockchain has become an efficient ledger that keeps a track of transaction of cryptocurrencies between two parties. It started on a small scale but has outgrown in various dimensions. Now, it is all set to grow in a different space, 3D blockchain applications platform. The new platform is now accessible. These are projects are developed by using a cryptocurrency. The program is controlled by using different kinds of cryptocurrencies. Let’s know all about it! What Is The Use Of 3D Blockchain? 3D blockchain will simplify the process for a person who is not technological sound. This frees them from the hassle of compiling code which is a tough nut to crack. 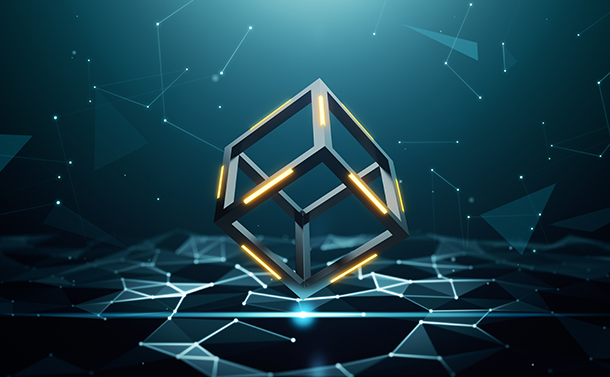 If you have a secure and open 3D blockchain applications platform, you can attain more with nominal understanding. You also get community assistance with most of the projects which makes it easier. The objective is to help people who don’t have required financial resources. These are businesses that have faced a lot of difficulties and have come a long way to secure their position among the primary players in the field. Due to the lack of resources, the small businesses don’t have adequate options to advertise the products or services they offer. No matter how great the products are, they still have to struggle to achieve progress. Well, not now, as they have 3D blockchain applications platform with them. Must Read: RaiBlocks: Doing Blockchain Justice! These amazing applications allow the users to collaborate. They enable them to communicate directly. Moreover, a user can share their ideas, order take-outs, shop for essentials, play games without even taking off their VR headsets. All of this is possible as all the applications within the 3D platform are compatible with each other. Besides this, the platform provides a room for the creation of decentralized applications. It can be anything, games, shop management or other services. A user is free to select a project that he likes. In this way, the 3D world will bring people together in an environment, where they can share their ideas, shop and do so much more. Using this technology is a cakewalk. That’s why it will prove to be a great help for the business holder who is not tech-savvy to reach a bigger audience easily. It also has a lot of features to allure the business owners such as encrypted messenger, privacy, transaction blocks and social networking. Those who don’t know about the 3D blockchain technology might find it complicated but it is easier and simpler when utilized. We have tried to put across an idea and how the 3D blockchain technology can help you to grow your business. What do you think about the 3D blockchain technology? Feel free to express your views in the comments section below. GitHub Scores a Coup: iBoot Firmware iOS Source Code Leaked!